Support making literacy a priority in HOUGH! The adult illiteracy rate in this Cleveland community is 95 percent. We want to move the needle because doing so will CHANGE THE GAME! Hough Reads' mission is to decrease the 95 percent adult illiteracy rate in our community by 3 percent over the next 5 years, unite the community around improving literacy and ignite an overall love for reading. Your donation will support this work by helping us build out a robust literacy campaign via digital and outdoor media, curriculum development and providing support staff on the ground for families in Hough. 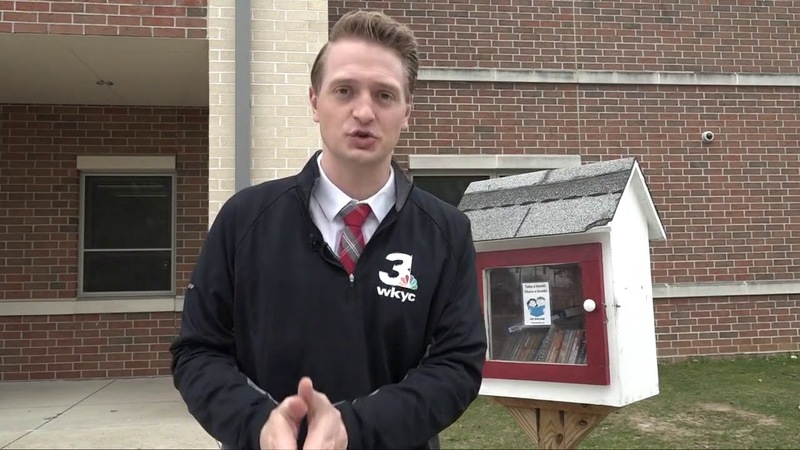 A Little Free Library Neighborhood initiative, we launched Hough Reads in April 2018 with the committment to host at least one literacy-based event per month for one year. We took on the project with the understanding there were no funds to support the staff. Wanting to do our part to help address this issue, we rolled up our sleeves and went to work. With the generous support of civic and community leaders in addition to investment of our own dollars, we've averaged two events per month with our 7 week-long Family Literacy Night at Hough Branch Library being the most successful. We've also secured a grant from Neighborhood Connections to launch an outdoor media campaign to highlight Hough area families and children who excel in reading. But, we've just scratch the surface and need your support to continue. Will you help us improve literacy and ignite a love of reading in Hough? Will you help us decrease the 95 percent adult illiteracy rate in Hough? Will you make a contribution to "Change the Game?" The funds raised in this campaign will cover the cost of developing a Hough Reads website. The website will include a resource guide, tips for raising readers and improving reading skill, recommended reading by age, events listing, easy-reading blog, sustaining gifts campaign and more. We will launch the website during the unveiling of our outdoor media campaign in April. Illiteracy is the root of so many other problems such as joblessness, crime, incarceration, poor health outcomes... you name it! Hough Reads addresses the root in an informal, non-threatening way. Why Rhonda Crowder and Wayne Dailey? They not only care, they know firsthand how reading can change lives. Our program coordinator, Rhonda Crowder is a product of Hough. Reading books by African American authors moved her from being an unruly teen on the verge of dropping out of high school to continuing her education and becoming a journalist, author and entreprenuer. A Cleveland native, Wayne Dailey is an art director who assisted with the L.A. Times' with the implementation of their Reading by 9 program some twenty years ago. As a single father, he tested the techniques he learned on his daughter. She became an advance reader and eventually earned a full scholarship to Columbia College in Chicago. Rhonda and Wayne are excited about the opportunity to take what they've learned in their creative, professional careers and apply it to uniting the Hough community around improving literacy. It's a huge undertaking but they are up for the challenge. This budget is to help build the capacity to continue the implemenation process of a robust literacy campaign in Cleveland's Hough community. A program coordinator and a program assistant is neccesary to ensure the sustainabilty and success of this project. Both put in 18 hours of work per week on Hough Reads tasks which includes everything from research information, developing concepts, meeting stakerholders and potential supports, and implementating monthly events to unite the community around improving literacy. The cost of a program coordinator is $41.60/hour. This budget will fund the cost of both salaries one month. According to The Nashville Adult Literacy Council, every dollar invested in adult literacy yields $7.14 in return. Donors receive a sneak peak of the outdoor media campaign and invite to its launch in April. Pays for one hour of work from program associate. Donors receive a sneak peak of the outdoor media campaign and invite to its launch in April. Pays for hour of work from program coordinator. Donors receive a sneak peak of the outdoor media campaign and invite to its launch in April. Pays for two and half hours of work from program associate. Donors receive a sneak peak of the outdoor media campaign and invite to its launch in April. Donors also recognized on Hough Reads website. Pays for two and a half hours of work from program coordinator. Donors receive a sneak peak of our outdoor media campaign and invite to its launch in April. Donors also recognized on Hough Reads website. Stock Little Free Libraries in Hough. Be a reader during one of our events. Help us write and edit content for blog posts, social media, and handouts.